Where can hope be found ? Amidst these do pleasures fall. Why then if that's it all? Why the call to existence? Thanks Mwajim Al. When I grow up, I want to write like yuh and so not good of you to have reminded me of the house hunting. smh. The hard knocks is this location and prices. I'll be good tho. firstly, i must say that am loving the rhymes,lol freight, height, alright, tight, might, upright. 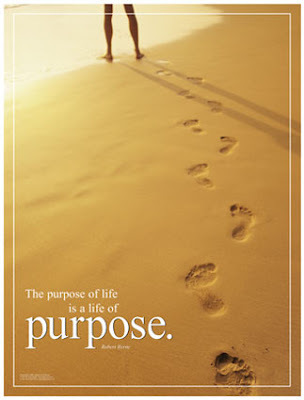 hmmm, 'purpose' , thats what our life is all about if only we can humble ourselves before God and let Him show us the path He has mapped out for us to walk in. its funny how most people accomplish so much but still there is an emptiness on the inside of their soul, why ? thanks for sharing this, it really did minister to me. There is certainly nothing like a life without purpose - and ease (for such a life) would be but a fantasy. You only function with ease when you do what you were built to do! Kenny, you say the truest words in the most direct manner. Great work. Sorry for all my "downtime". Ah! I've been not so constant as well, trying to settle into the US of A and to my new job. But I hope to find my balance back. Thanks tho. u sure still keep in touch good brof. hehehehehe rhymes oh. which kain rhymes. pun on words. I just love me some pun at times. And thanks for your contribution. I so everyday, seek and ask for God's purpose to stand firm in my life. May that be ur portion as well. It's well been days. How u feeling? Well? What's summer saying? I got a job and left for the states like last month. I so miss England eh n our awesome weather. lol.